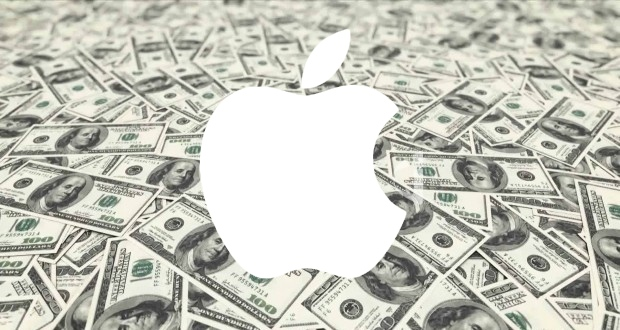 Following in the footsteps of the U.S. and the E.U., the Australian government has declared that American technology giants Apple, Google and Microsoft are all under investigation for their use of multinational corporations to pay lower taxes. The Australian Tax Office declared on Wednesday that the trio of companies are officially "under review" for their tax practices, according to Reuters. As part of the public inquiry, the government questioned Apple executive Tony King, who oversees the company's operations in Australia and New Zealand. All three companies denied shifting profits or avoiding government taxes in Australia. But the executives representing Apple, Google and Microsoft also reportedly declined to provide full details about their financial structures. The most well-known tax loophole is the so-called "Double Irish" provision, which allows companies with operations in Ireland to route profits to another Irish subsidiary, which then has tax residency in a tax-free nation, such as the Cayman Islands. In Ireland, only companies that are managed and controlled in Ireland are considered tax residents. Apple Operations International is incorporated in Ireland, but is not managed and controlled there. Ireland's finance minister announced late last year that the country would end the "Double Irish" accounting scheme starting in 2015 for new companies. Those currently leveraging the strategy —including Apple, Google and others —will have until 2020 to find another country with favorable tax provisions. The U.K. also responded with a new tax passed earlier this month, directly targeting companies such as Apple. The so-called "Diverted Profits Tax" sees multinationals owe 25 percent on offshored profits, above the nation's Corporation Tax of between 20 and 21 percent. Apple has also faced scrutiny from the European Union, though the iPhone maker has continued to categorically deny any wrongdoing. Apple's executives were also grilled in front of a U.S. Senate panel about taxes, and during that meeting Apple CEO Tim Cook said the company pays every dollar it owes. Still, the administration of President Barack Obama has proposed a one-time 14 percent levy on earnings held by U.S. companies overseas. Those funds would be allocated into a $478 billion public works plan.